With the release of One Piece Chapter 930 last week, we finally got to see the arrival of Big Mom on Wano Country. It’s also worth noting King’s devil fruit and as expected, it’s another mythical Dragon fruit. There are lots of rumors going around since the release of the previous chapter about Big Mom could be one of the reasons for Luffy’s escape. Well, we have to wait if it will happen. What we have to discuss for now are the events that may happen in Chapter 931. Before the previous chapter ends, it has been revealed that Sanji will deal with the rampaging Page One. To avoid more casualties of the innocent villagers, Sanji decides to face Page One. It’s pretty obvious that Sanji will fight Page One, but what’s interesting is the preview of Sanji holding the raid suit given to him by his family, Germa 66. For the fact that Sanji needs to hide his identity, he’s planning to use the raid suit to increase the chance of winning and make it faster. 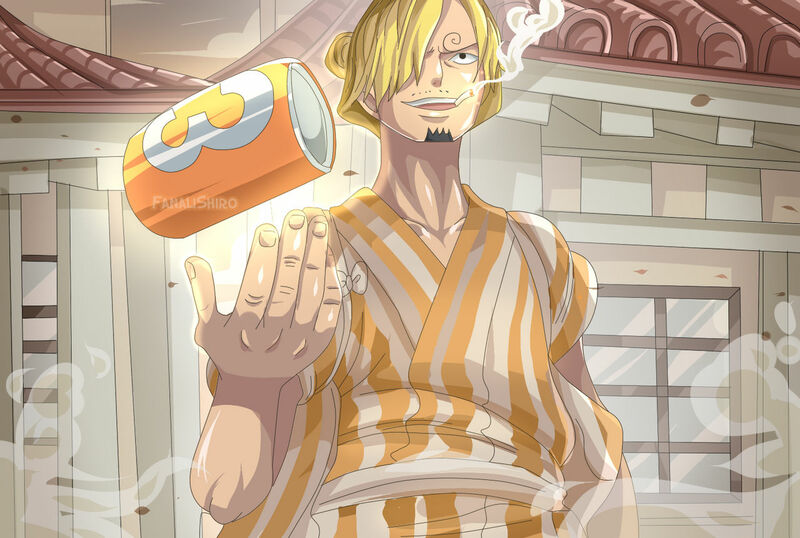 With the addition of raid suit’s power, Sanji will surely receive a huge boost. Meanwhile, One Piece Chapter 931 could also reveal more details about Ebisu Town. Zoro is still not getting any action and we are hoping that his arrival at Ebisu Town will lead to something good. Another interesting event that we are also hoping to see is how will Big Mom survives since the previous chapter, we have seen here falls down under the water. Chances are Perospero or one of her children will save Big Mom or she will save herself. Let’s see how things unfold in the upcoming One Piece Chapter 931. As stated in the last chapter, One Piece Chapter 931 is not coming this week. So, expect to see this chapter next week. The official chapter will be available in the next Shonen Jump Issue magazine that will be released on February 4, 2019. Featured image by TheColoringWorld at Deviantart.